My understanding of RCMP Inspector Hanniman's job preference came from a public presentation he made in 2006. The nature of his reaction to my article, however, invites questions. Inspector Hanniman, by all accounts an experienced officer and decent person, has exerted himself to deny a compelling personal attraction to traffic policing. Why, then, did he not also use the opportunity to deny the many more material assertions in my article, assertions that have direct implications for the credibility and well-being of the RCMP and Canada at a time of concern about extremist infiltration of the country and its institutions? 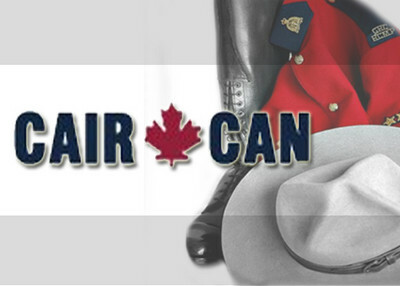 Would Inspector Hanniman deny, for example, my statement that "he formed an RCMP ethno-cultural national security consultative group whose membership inadvertently included some of the more radical elements in Canadian society," including "the Canadian Council on American-Islamic Relations (CAIR-CAN), a chapter of the US unindicted co-conspirator outfit, CAIR?" Or that, "Under the Inspector's wing, a CAIR-CAN official was even escorted around the Canadian Security Intelligence Service offices?" Was it unfair or inaccurate to say that "The farce worsened as the National Security group's public briefings eventually came to cite CAIR-CAN's misleading studies of Muslim victimhood, thus doing the divisive propagandistic work of Islamists for them?" Islamic value to have absolute freedom. Islam puts boundaries on you." ---- Saudi Harvard University graduage Malik Dahlan: "It is freedom not to submit [to God's will] that gives value to submission itself."